Thank you for the quick delivery. Got what I wanted and fast. Great price, low shipping fee, and fast delivery. Bought something gun related from another big name on the Web and watched my order sit in shipping for 7 days before it ever left their warehouse. Not Knife Center, you had my order on its way the next day. Thanks again! Love my new Holdout III, and my BK2 looks awesome in it's new sheath. I wanted to take a moment to thank you for offering a great site and more importantly, investing in great people like Kristin. Kristin was kind enough to send a message about my order, offering to ship the available item and explaining that the other item was still unavailable. She answered all of my questions promptly, about my freight options; since I’m giving these a gifts, I needed them sooner rather than later, so I had to change my order. Without any hesitation, Kristin changed it and updated me. In this day and age it’s difficult to find people who genuinely care about real customer service. It is pleasantly apparent to me, that you have someone who does, in Kristin! I placed an order with Knifecenter on December 5th 2014, the parcel was received in Johannesburg South Africa on December 11th and since then the parcel has not moved. On contacting Knifecenter the response was very quick as it always is, you were aware that there was a Postal workers strike in South Africa and requested that I be patient which I was, considering the circumstances. By February 23rd my parcel had still not moved, now comes the good part and Knifecenter to the rescue. I made contact with Kristin at Knifecenter and explained to him the problem that I had, at no time did I request a refund or reshipping of the item in question so it was to my surprise that I was immediately given this option with no questions asked. 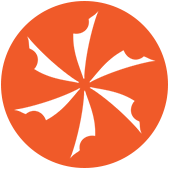 How many Companies would simply ship at their expense and put the customer first? Not many!!! Your action goes to confirm that your service and integrity as a Company is up there with the best and for this I can’t thank you enough, thank you, thank you, you now have a customer for life and will sing your praises down here is South Africa. By the way your parcel left the USA on Tuesday 24th March and was delivered to my business on Monday the following week, seven days from Knifecenter USA to in Johannesburg South Africa, wow how is that for service, simply the best and very much appreciated. It goes without saying that should the original parcel miraculously arrive I will contact Knifecenter immediately and return to you. Thank you once again for your GREAT SERVICE. Received my item today. Just wanted to comment on the personalized shipping box. I have ordered many times from KnifeCenter in the past and was just as thrilled to see the new orange box with the KnifeCenter logo on it as I was to receive my new knife. The Thank You message on the flap of the box when you open it is a nice touch too! 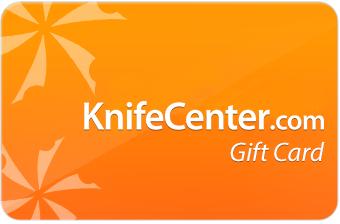 Thank You KnifeCenter for being so awesome to your customers and always thinking about us! We always think about you first when ordering knives! I would like to point out how good was the customer service provided from you Kristin, either by email and over the phone, so if there it’s any way I can officially express how good you have been, always exceeding the expectation, I will be more than happy to do so. I am taking the time to say thank you. with so many online stores a customer has a ton of choices so I give a new site only 1 chance to do what they say and treat me right. your site did just that!! I have had a few bad experiences lately with on time shipping and having the item in stock, your site took 2 days to send me a confirmation email and 3 days later I had my new knife. my friends and I do A LOT of bushcrafting and we are ALWAYS trying new products and your site will now have our business. thank you very much for being a dependable site. This is not a complaint or a criticism. I just want to thank you for the wonderful service and customer care that I have received from your company. I've done quite a lot of business (for me at least) with your company since November. I've called several times to ask questions---that I probably could have figured out if I had read your website more closely. I have received the most courteous and friendly responses from all of the ladies I have spoken to. I will never deal with another company when I need services that you provide and I will recommend you to my friends and patients! I just wanted to say how much I'm loving my new blue spyderco endura 4 knife. As always, you all have wonderful service and insanely fast delivery! I got my knife in three days, that's freaking astounding! I will always recommend your business to friends when they ask where to get a good knife for a good price. Keep up the good work, speed, and professionalism. I just wanted to say a HUGE thank you to all the team at Knifecenter.com! I discovered your site this year (I know! Where have I been?!!) And I cant tell you how happy I have been since!! I was used to cheap quality pieces, shoddy service and delivery times so I was wary at first ordering overseas, but even living in bonny scotland the delivery time now takes less than a week! and im more excited than Tom Hanks on a desert island when another Fedex package rolls in!! My latest one arrives on the 4th july! 1st class products and 1st class service. God bless Knifecenter.com!!! I just wanted to thank KnifeCenter and their employees of the quick and efficient service I have always received.I or my wife have ordered different items from you currently and in the past and never had any problems or issues.Everything is top notch from ordering,items in stock,s&h,and all in between.You have a customer for life.Even though I have over 200 silent weapons/tools I will still look your company up when needed. The service KnifeCenter.com provides leaves me speechless. The selection is massive; the employees are professional, helpful and well educated. Shipping is very expedient and the items are always packaged very nicely. If you have a problem you just call (I have never had to wait longer than a minute) no red tape, no brick walling just a one on one with a trained problem solver. I have ordered here 4+ times and have never been disappointed. Add Strider knives to your inventory and you have a hands down, life long customer. Thank you for your outstanding service and I hope you enjoyed the holidays! I don't have the order #. I just wanted to say how pleased I am with your company and service. I found you guys by accident and I am glad I did. Thanks, again. Again, thank you. It is just lovely to have such immediate gratification in an Internet shopping experience. I finally received my DPX HEST Folder today, and I almost cried...because I was so happy. And I am pleased to say that all of these knives are fantastic! I always put a comment on all my orders asking that a QC check be performed on my blades, and I have to say that all the blades I get are sharp out of the box, perfectly centered, with no blade play. I always get great service from your Company, and your employees are very good at answering any of my follow up questions, and are very professional.